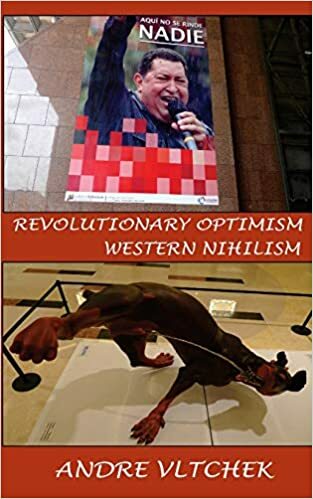 American progressives have been desperate lately that their cries merely echo through a wilderness, but now comes Andre Vltchek’s latest book, Revolutionary Optimism, Western Nihilism to magnify our voices. As a Russian born but Western raised ‘professional expat’, Vltchek has spent his life covering the world’s tragedies, in film and word, until he can no longer bear the pain. As revealed by a series of short takes written over the last few years, Vltchek’s only hope is the energetic optimism that animates revolutionaries the world over. I was privileged to observe that phenomena in early sixties Cuba, as was at other periods Vltchek. But Andre has also seen and documented the horrors of empire across our troubled world, over and over again until cry out he must. Cults of formal learning, of facts and information have been erected. Holed up in innumerable officially recognized institutions, the scholars, certified demagogues, researchers and media people have been ‘studying’ each other, recycling and quoting each other, filling millions of books with essentially the same narrative. ‘New’ and ‘revolutionary’ academic discoveries mostly lead to the same old conclusions, to stale intellectual and moral passivity, cowardice and spinelessness. Vltchek’s prescience is remarkable, given that these essays were written before the election of Donald Trump, which, with deep state accusations of ‘Russian interference in our (sic) democracy’, has triggered internet wars over ‘truth’. Donald Trump’s cries of ‘fake news’, suggest that “It is now easy to imagine that the Empire might soon introduce some fascist institution like a ‘Department of Truth'”. The legal systems of socialist societies with their emphasis on socio-economic protection and support of the workers, are completely different from those of the capitalist societies, in which the central role of law is to protect private property and ease the flow of capital, in opposition to the interests of the workers. Indeed, the Western media invariably talks about Russia either with accusations or disdain, never mentioning the fact that its current president rescued the socialist baby from the bathwater that Yeltsin was throwing out, and that his high domestic approval ratings are largely due to real improvements in the lives of ordinary Russians, even as he modernizes the country in the face of Western disparagement. For those of us who have been pursuing the crusade against empire for decades, feeling our efforts are almost in vain, Vltchek’s latest contribution is both a passionate cry and a breath of fresh air. Born in Phila, Deena Stryker spent most of her adolescent and adult years in Europe, resulting over time in several unique books, her latest being Cuba, Diary of A Revolution.